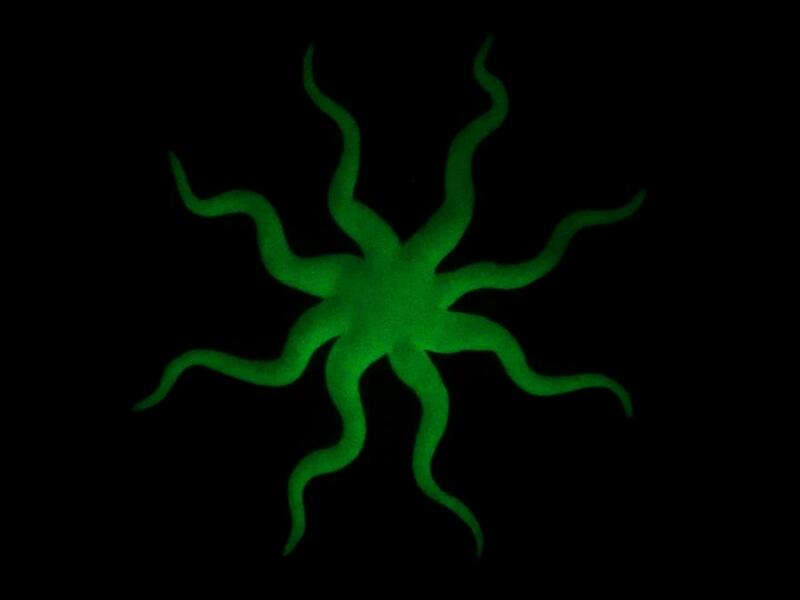 We made a glow-in-the-dark star by blending glow-powder into Plastimake. To make glow-in-the-dark Plastimake, gradually mix 1 teaspoon of glow-in-the-dark powder into 50-100g of Plastimake. 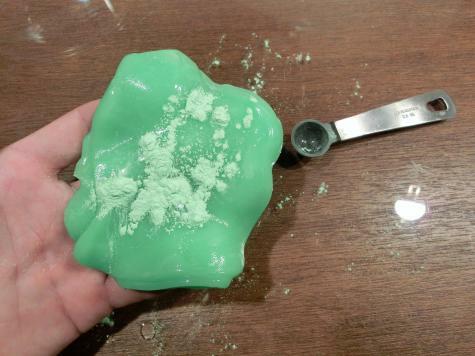 You may need to re-heat your Plastimake a couple of times so you can thoroughly mix in the powder. This star is about 25cm wide and required 80g of Plastimake. 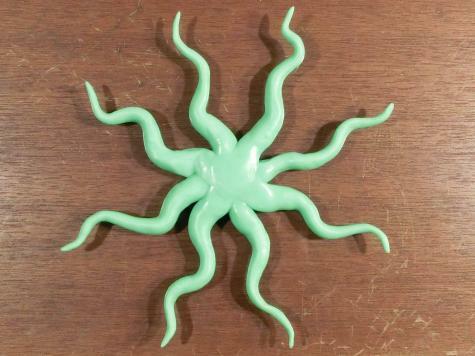 We discovered that our local art supply stores don't stock glow-in-the-dark powder, but there are plenty of sellers on eBay. 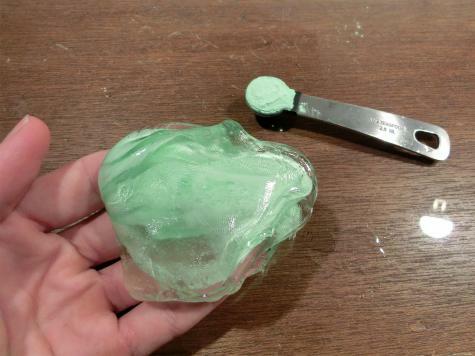 It's sometimes sold as "phosphorescent powder" or simply "glow-powder".